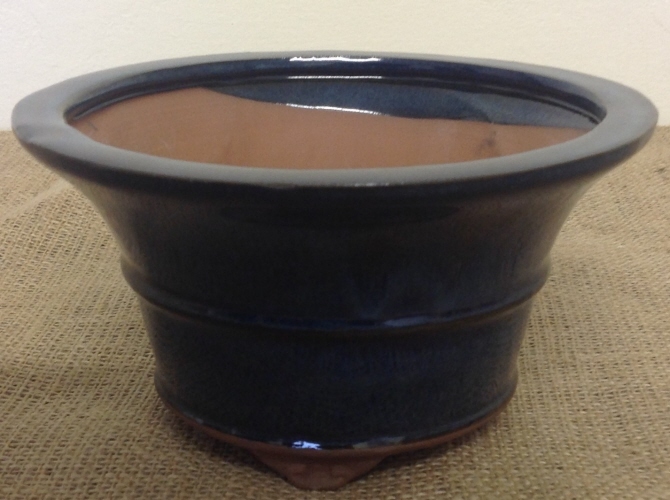 18x10cm Blue Glazed Cascade Bonsai Pot with drainage holes. This bonsai pot is from our range of Chinese bonsai pots. Very attractive little pot. Great value for money and nice quality too.